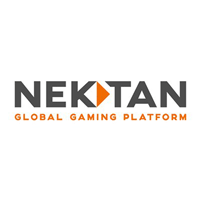 Nektan plc (LON: NKTN), the fast-growing international gaming technology and services provider, announces its unaudited interim results for the six months ended 31 December 2018. · Revenue in the six months ended 31 December 2018 (“H1 FY19”) up 48% versus the six months ended 31 December 2017 (“H1 FY18”) and 17.6% versus the six months ended 30 June 2018 (“H2 FY18”). · Adjusted EBITDA of £336k (H1 FY18 (£916k) loss), driven by increased revenues and resulting business efficiencies. · The US operations have been classified as discontinued in the period under review and prior period following the Company’s announcement on 27 December 2018, advising of the proposed sale of the majority shareholding of Nektan’s US subsidiary, Respin. The associated assets and liabilities of the US subsidiary have been classified as held for sale and an impairment recorded of £2.9m based on the expected sale proceeds. · Launched new white label casino partners, notably the Shipley Brothers, taking the number of fully-managed global casino brands to a record 152 across Europe. · Higher margin B2B division established as significant global revenue driver for the business with 10 partners live by 31 December 2018. · The directors remain in discussions with HMRC for the £2.9m owed for UK point of consumption tax as at 31 December 2018, which will be significantly reduced by virtue of the funds received from the equity fundraising and part disposal of Respin. · Lucy Buckley joined as Chief Executive Officer on 3 December 2018. · Several new B2B partnerships are underway including the previously announced Addison Global’s MoPlay. · US subsidiary, Respin, soft launched its proprietary in-venue mobile gaming product with a major US tier-one casino operator and signed a new contract with one of the largest casinos in Palm Springs, California. · The proposed sale of the majority shareholding of Nektan’s US subsidiary, Respin, is progressing and the Company expects to enter into a binding contract for the sale as soon as possible, but in any event no later than 30 April 2019. 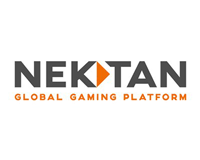 · Nektan announced on 8 February 2019 that it has received more support for the placing and subscription than previously announced on 27 December 2018, with demand at £2.2 million. However, there is a short delay in executing all transactions as they are inter-conditional. · Trading in Nektan’s B2C white label business during Q3 FY19 has, so far, been flat year-on-year and down versus Q2 FY19, due to a number of factors impacting FTDs and deposits, including seasonality, increased UK regulation around player marketing and verifications and a delay in the granting of our Swedish operator licence. The Board expects trading to improve in the next quarter (Q4 FY19).